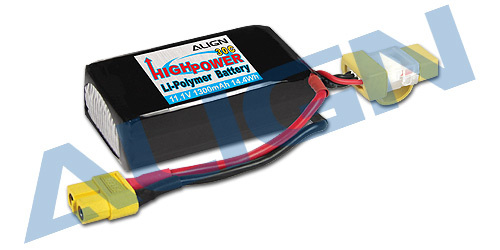 ●This Li-poly battery features high efficient and high discharge, use a inspection machine to match packs, suitable for MR25 series and other professional model airplanes, cars, and guns. ●Max Continuous Discharge: 30C(39A), Burst Discharge: 40C(52A). Normal operating temperature is approx. 40-65°C(within 80% of rated discharge). Max. temperature: 80°C. ●Using 14AWG wire, thermal resistance: 200°C, max continuous current 50A.